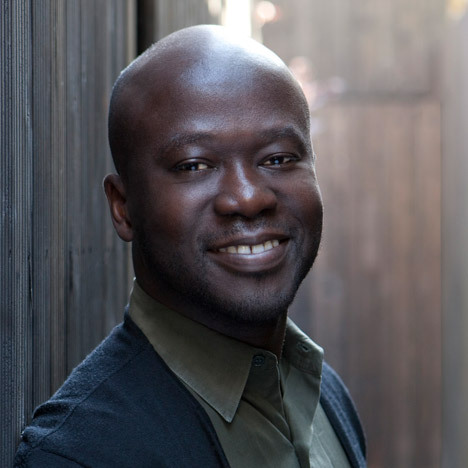 Design Indaba 2013: architect David Adjaye has been confirmed as one of the speakers at the Design Indaba Conference in Cape Town, South Africa, later this month. British architect David Adjaye has designed a number of high-profile buildings, interiors and pavilions such as the Moscow School of Management, the Stephen Lawrence education centre in London and the Smithsonian Museum of African American History and Culture in Washington DC. The conference will take place at the Cape Town International Convention Centre from 27 February to 1 March. Design Indaba Expo runs from 1 to 3 March at the same venue and will feature products, fashion, jewellery and craft by local designers. Visit the Design Indaba website for more details and a full programme of events. Design Indaba has committed the past 18 years to a vision that rests on the premise that creativity will fuel an economic revolution in South Africa. As such, Design Indaba is a celebration of design in a country iconic of the triumph of human spirit. Proof that even the most intractable problems can be neutralised by the will of people, resurgent South Africa is a beacon to the world. Design Indaba typifies this optimism and can-do spirit. Starting from the basis of how creativity can help solve the problems of an emerging country, it takes the view that a better future can be designed. Focusing on bringing international thought leadership to South Africa since 1995, the Design Indaba Conference has grown to become one of the world’s leading design events and hosts more than 40 speakers and 2500 delegates. In 2013, the Design Indaba Conference will once again facilitate the convergence of the world’s top designers, creatives, thought-leaders and entrepreneurs discussing and showing how a better world is possible through creativity. Taking place at the Cape Town International Convention Centre (CTICC) from 27 February to 1 March, the 2013 Conference lineup is a diverse range of speakers including Pentagram partner and president of Alliance Graphique Internationale Paula Scher, artist and innovator Daan Roosegaarde, John Maeda (President of Rhoade Island School of Design), graphic designers Jessica Hische and Marian Bantjes, and founder of Bartle Bogle Hegarty advertising Sir John Hegarty, among others. In turn encouraging local creativity to go global, the Design Indaba Expo has provided a commercial platform for South African designers to showcase local goods and services to the global market through influential international buyers since 2004. The 2013 Expo will take place from 1 to 3 March at the CTICC and feature bespoke work of top South African designers from all creative disciplines, from jewellery to fashion design, craft, multimedia, product design and much more. The Expo also hosts workshops and talks by industry leaders, live music and comedy, fashion shows, food markets and much more. By attracting the world's brightest talent, Design Indaba has become a respected institution on the creative landscape and one of the few multisectoral events that celebrates all the creative sectors – including graphic design, advertising, film, music, fashion design, industrial design, architecture, craft, visual art, new media, publishing, broadcasting and performing arts. Besides the flagship Conference and Expo, Design Indaba has grown into a multitiered experience that incorporates other events, media, education, training, business development and a range of publications. The 2013 event lineup also includes the annual Design Indaba FilmFest, Your Street Live (the inaugural global iteration of the Your Street Challenge) and the Design Indaba Music Circuit (details to be confirmed).